The calendar my still say summer, but fall is on the way! It’s my favorite season for so many reasons. Halloween, death to the bugs, cooler weather, pretty leaves and super delicious fall treats! The only bad thing about it is back to school, I could do without that. I like sleeping in. 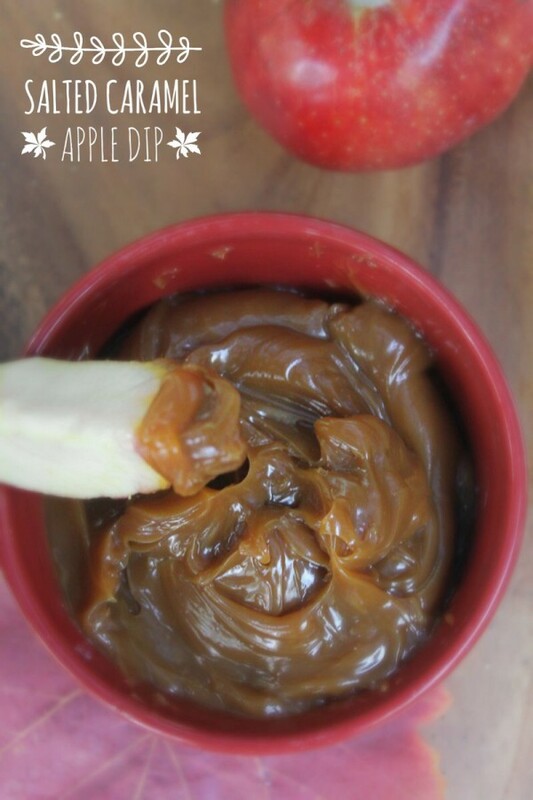 To celebrate the coming fun fall season, I’m sharing a crazy-easy caramel apple dip recipe with you. I love caramel apples, but I’ll be honest, I only eat the outside part. You know, the ooey, gooey, messy caramel part! Then I ditch the innards. Bad, I know. But with a caramel apple dip, you can slice the apples and actually get the whole slice all messy. That way, you’re eating more of the good apple too! Fine, I know, it means I’m eating more of the caramel as well, but I won’t tell if you don’t! I also find dip a lot easier than trying to perfectly coat a whole apple. I’m a klutz. Apples end up on the floor and caramel on the ceiling. Don’t ask! Melt the caramels in a double boiler or stainless steel pot over low heat. You can also do it in the microwave in 30-second increments if you want, but I prefer the stove. Add in the other ingredients, one at a time in order, stirring until they’re mixed and melted in. Dip your apples into the yummy dip, then into your extras! Yes, it gets the nut/sprinkle mix messy, but who cares? If you want to be dainty about it, you could put a spoon in there and sprinkle the sprinkles over your dipped apple slice. This recipe takes just a few minutes to make yet tastes fantastic. It’s like being at a state fair, except without spending $4 per apple! Or $20 per ride. What is your favorite apple recipe? Tell me about it in the comments! Oh my that looks tempting. I know this would be a huge hit here. Yum! I just made a caramel sauce earlier because the kids are requesting for caramel popcorn, We could some of it as a dip. Interesting caramel sauce how tasty great for spicing up popcorn and my sweet tooth. Salted Caramel is my weakness! I have to make this STAT!!! Oh so that’s how you make it thick but not thick enough to make it hard like candy. Thanks for this recipe! Sounds fairly new to me. A must try nonetheless. Thanks for the recipe! Mmm hmm hm Now that is a dip I can get behind. It sounds tasty and perfect for Fall. I love salt and caramel together! This looks delish! You had me at caramel. These look really good and I’ll definitely be making them soon! This looks like the perfect dip for some freshly cut apples. My teenager will flip if I make this. 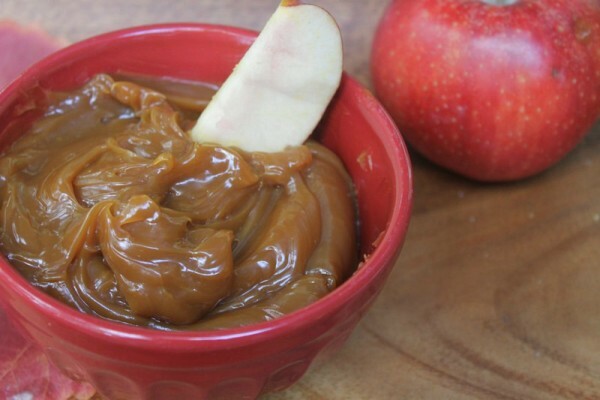 I love a good caramel dip! Salted caramel is sooo good, will have to make this when company comes over. Oh my gosh that looks divine! I can’t wait to try this. I am sure it is going to be a big hit with my family. Wow! That looks so amazing! I love me some caramel! I will definitely be making some of this! Thanks for the recipe! I love things that are EASY to make! This is perfect for fall gatherings. Can you tell me how long this keeps? I am wanting to make it the night before for a party at 3pm the next day. Thanks so much for your help!